« GRAVE DIGGER – “The Clans Will Rise Again” Releases October 12th In U.S.!! This entry was posted on October 11, 2010 at 7:45 pm and is filed under hard rock music, Heavy Metal, heavy metal albums, heavy metal bands, heavy metal history, heavy metal music, heavy metal songs, metal music, metal odyssey, Music, new wave of british heavy metal, progressive metal music, rock music, rock music news with tags 1980's heavy metal albums, Black Sabbath, bruce dickinson, heavy metal history, heavy metal music, Iron Maiden, metal music, metal odyssey, Music, new wave of british heavy metal, nwobhm, progressive metal music, rock music, sabbath bloody sabbath album, steve harris bass guitarist, the number of the beast album. You can follow any responses to this entry through the RSS 2.0 feed. You can leave a response, or trackback from your own site. 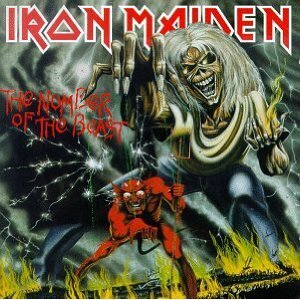 I have no idea what the greatest metal of all time, especially since in my world I include bands like Aerosmith as a metal band, but what I can say is this is one of the best metal albums of all time and also Iron Maiden was the most important metal band to come out of the 80’s who’s influence cannot be overstated. I love NoTB. quite possibly my 2nd or 3rd favorite by them. i was very disappointed to see that they reissued it with Total Eclipse. While I think it’s perhaps the greatest Maiden song ever, it should always be noted as a bonus track and not inserted into the tracklisting.